The six-week International Arts Carnival, an annual event that starts in early July, provides cultural events and entertainment for children, teenagers and families during the summer vacation. It offers performances from different cultural groups and art forms to family audiences, and serves as an audience-building platform for local artists and creative groups. In addition to performances, outreach teams promote arts activities at schools and public spaces such as the foyers of civic centres and shopping arcades. A Graphic Design Competition, which is open to all schools, is held, and intensive arts workshops, day camps and summer fun carnivals are also arranged. 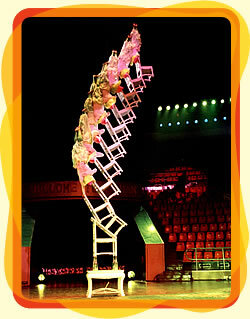 The 2006 Carnival opened with sold-out performances of Heroes by the Wuhan Acrobatic Troupe from China. Other highlights included Jump by YEGAM INC. from South Korea, Comedy by the Introdans Ensemble for Youth from the Netherlands, Moon 7 1/2 by Theatre Ensemble, HKS McDull Music Project by the Hong Kong Sinfonietta, Music Factory by the Chung Ying Theatre and Hamlet by the Drama School of the Hong Kong Academy for Performing Arts. Heroes, the opening programme of the International Arts Carnival 2006, showcases breathtaking traditional acrobatic feats fused with modern stage techniques staged by the Wuhan Acrobatic Troupe from China. 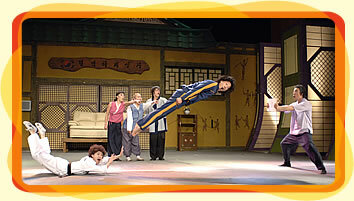 Jump is a martial arts comedy that blends various Asian martial arts, spectacular acrobatics, slick choreography and fine comic acting. Forty-two local and 10 overseas arts groups presented 427 events, attracting an attendance of 156 000. A combined total of 110 kindergartens, primary schools and secondary schools participated in the outreach activities. The average attendance rate of ticketed events at 98 per cent was the highest for the Carnival since 2000. Building on the success of the first and second New Vision Arts Festivals in 2002 and 2004, the third New Vision Arts Festival was presented between October 20 and November 19 and featured a selection of innovative and outstanding cross-cultural works with a focus on Asian arts expressed in contemporary style. The Festival opened with the mesmerising performances of Shen Wei Dance Arts in Rite of Spring and Near the Terrace and closed with the cross-cultural theatre production of Geisha by Ong Keng Sen. Collaborations between local and overseas artists were strongly supported with the Asian premieres of two commissioned works  the highly acclaimed Eclectic Tales from Mongolia and city:zen. Over the four-week festival, a total of 28 visiting groups and 20 local artistic groups performed at 84 events, including 12 staged programmes and an array of community activities that comprised school tours, exhibitions, outdoor concerts, lectures, an international forum on arts criticism and a Theatre Criticism Project for Tertiary Students. Over 71 000 people participated in the events. The Festival recorded an average attendance rate of 85 per cent. 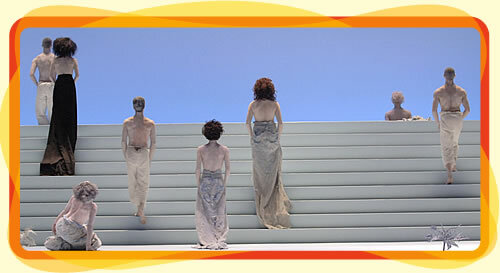 Shen Wei's Near the Terrace impresses the audience with an eye-opening presentation that marries dance and the visual arts.